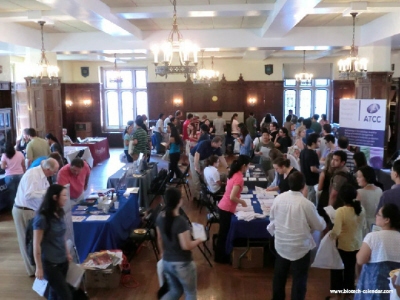 Georgetown University receives a wealth of life science research funding from external funding organizations. The NSF awarded the university $6 million in grants in 2012. In addition to receiving NSF funding, Georgetown University was also awarded $51 million in life science research funding by the NIH in 2012. For more funding information on Georgetown University, please read our article $57M in Research Funding at Georgetown University. In 2013, the NIH awarded Georgetown University $6.4 million for its department of internal medicine. The funding organization within the NIH was the National Center for Advancing Translational Sciences. For more information, please read our blog $6.4M in Life Science Research Funding Awarded to Georgetown. Researchers at Washington University in St. Louis recently received life science research funding for leukemia research from the National Cancer Institute, part of the National Institutes of Health (NIH). The total funding included two grants totaling $26 million. The money will be given to leukemia researchers and physicians at Siteman Cancer Center at the Washington University School of Medicine. For more information, please read our article New Life Science Funding: Two Grants Total $26M at Washington University. In 2012, the NSF awarded Washington University in St. Louis $14.4 million in life science research funding. In addition to receiving NSF funding, Washington University was also awarded $36.6 million in research funding by the NIH in 2013. For more NSF and NIH life science funding statistics, please read our article Washington University in St. Louis: $51M in Research Funding. Earlier this year, the NIH awarded Mount Sinai School of Medicine’s Network for Cardiothoracic Surgical Investigations in Cardiovascular Medicine $7.6 million in life science research funding. For more information, please read our article $7.6M in New Life Science Funding at Mount Sinai. In 2012, the NIH awarded Mount Sinai $178.7 million in life science research funding. In addition to receiving $178.7 million from the NIH, Mount Sinai also received $510,555 in life science funding from the NSF in 2012. For more funding information on Mount Sinai School of Medicine, please read our blog Research Funding Totals $179.2M at Mount Sinai. Rockefeller University is another well-funded university. In 2012, the NIH awarded Rockefeller University $70.1 million in research funding. A full list of departments receiving NIH funding is available at the NIH website. The NSF also awarded Rockefeller University $844,385 in research funding in 2012. Researchers from Rockefeller University and Necker Medical School in Paris worked together to discover one way fungal infections spread below the skin’s surface on a genetic level. To read more, please see our article Rockefeller Researchers Discover Genetic Component of Dermatophytosis. 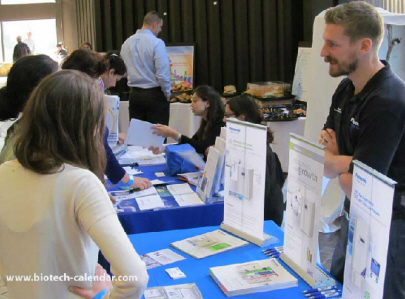 Biotechnology Calendar, Inc. is a full-service science research marketing and events-planning company that organizes on-campus life science events at top research universities. If you’d like to take advantage of life science marketing opportunities at other life science marketing events closer to home, we encourage you to view our 2014 calendar of events.